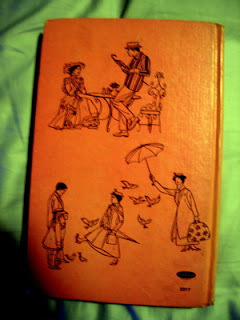 This book is entitled, "The Story of Walt Disney's Motion Picture Mary Poppins". This book was published in 1964, the year that this movie was released (I was released less than 3 months later). 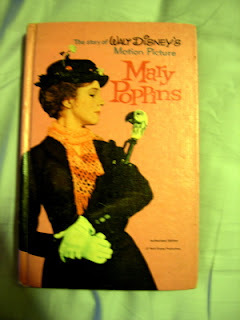 I found this book on Ebay, and I had to bid on it, since "Mary Poppins" is my favorite Disney movie. Here on the cover of the book is Julie Andrews, who really made quite a tough Mary Poppins! For her effort, she won the Best Actress Oscar for 1964.